I enjoy shooting any type of sports…and if it happens to involve some kind of racing….that enjoyment turns to love. Running, riding, driving…if it moves, count me in! A few weeks ago I found myself in Milwaukee for the weekend with nowhere to be and plenty of spare time. As I was driving up to Devil’s Lake State Park (a place that I’ve wanted to check our for a long time) I happened to drive by Aztalan Motorcycle Complex and see that they had an event going on both Saturday and Sunday. 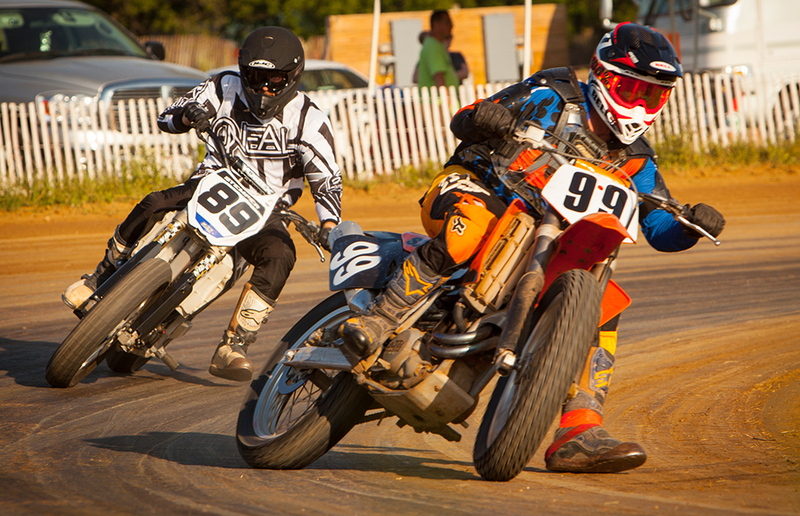 After a bit of hiking and photographing at Devil’s Lake, I hightailed it back to Aztalan where I arrived in time to catch some of the Flat Track (or Short Track) racing program on Saturday night. I quickly parked my truck in the camping area (gotta love free camping in the pits of the motocross track!) and gathered my gear and headed for the Flat Track. As I approached they had kids racing four wheel ATV’s and I found a place in the fence that had a hole just large enough to get my lens through. Each time another race started, I changed my position on the track and was able to get a different angle or view of the racers. As they started the heat races and main events, the light was getting better and the racing more intense. The motorcycles came out and I was totally blown away by the lack of control it seemed the racers had over the machines. As I watched more racing, I came to understand that they actually had total control, it just didn’t look like it! As you can see by the first photo, riders would slide through the corners by applying the throttle halfway through the corner and allow the rear wheel to spin a little as a way to come out of the corner faster. I love shooting action with a panning motion to really accentuate the blur of the background. Panning seems like a such a simple thing….yet it can be extremely hard to accomplish without a lot of practice. For me, I usually end up with about a 50% success rate when shooting like this. 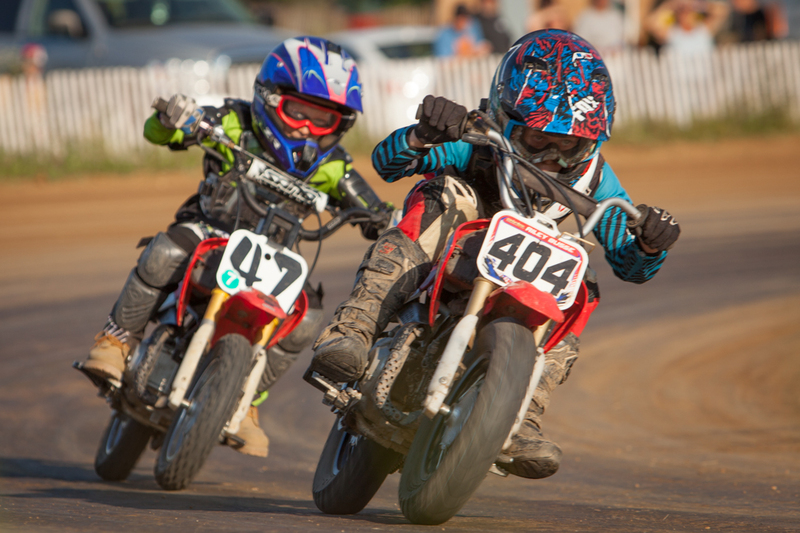 Also, I couldn’t not include a shot of the little kids that were racing motorcycles on the flat track. Just too cute…..
Glad you enjoyed the night of racing and hiking in beautiful Wisconsin Any chance you snapped any pictures of my son Ezra #07 in 65 and 85cc class? Thanks.